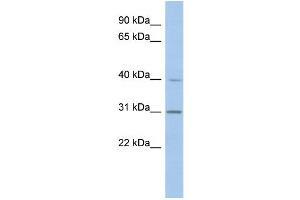 Characteristics This is a rabbit polyclonal antibody against PERLD1. It was validated on Western Blot using a cell lysate as a positive control. Background PERLD1 is involved in the lipid remodeling steps of GPI-anchor maturation. Lipid remodeling steps consist in the generation of 2 saturated fatty chains at the sn-2 position of GPI-anchors proteins. It is required for phospholipase A2 activity that removes an acyl-chain at the sn-2 position of GPI-anchors during the remodeling of GPI.